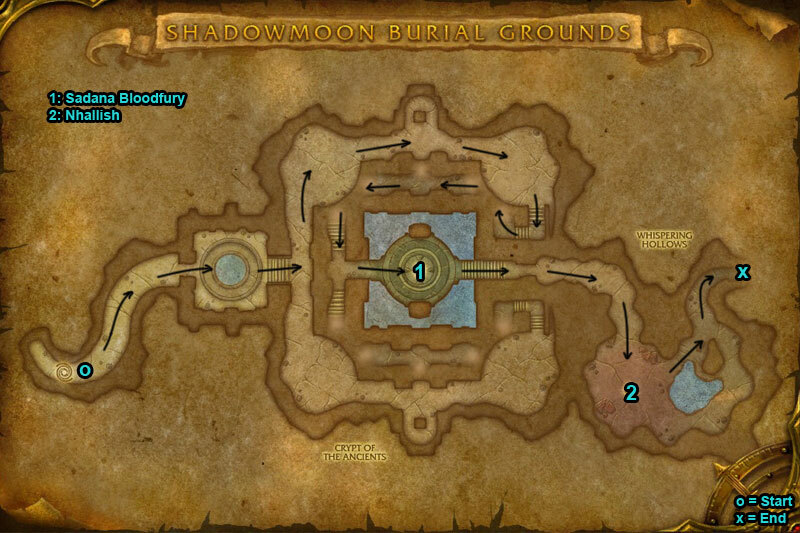 You can find the Shadowmoon Burial Grounds dungeon entrance within Shadowmoon Valley, Draenor. 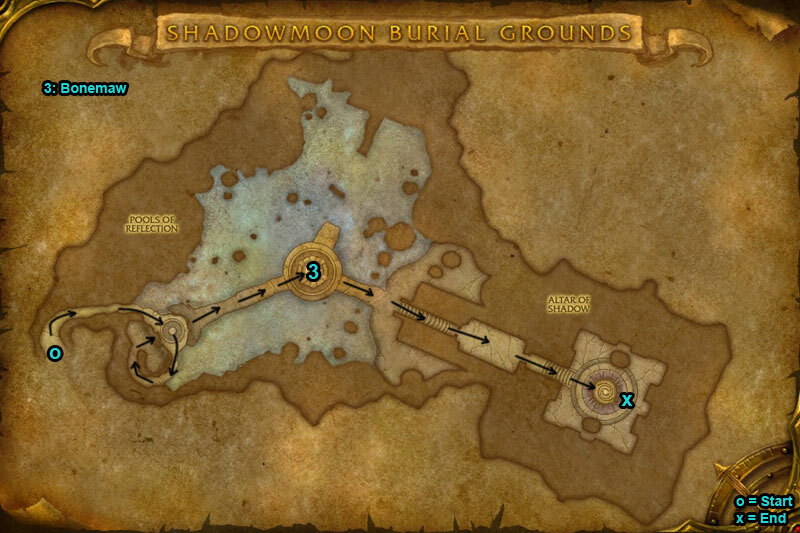 You can take a shortcut to 1st boss by jumping down a hole, they are located left and right of the map depending which way you take. 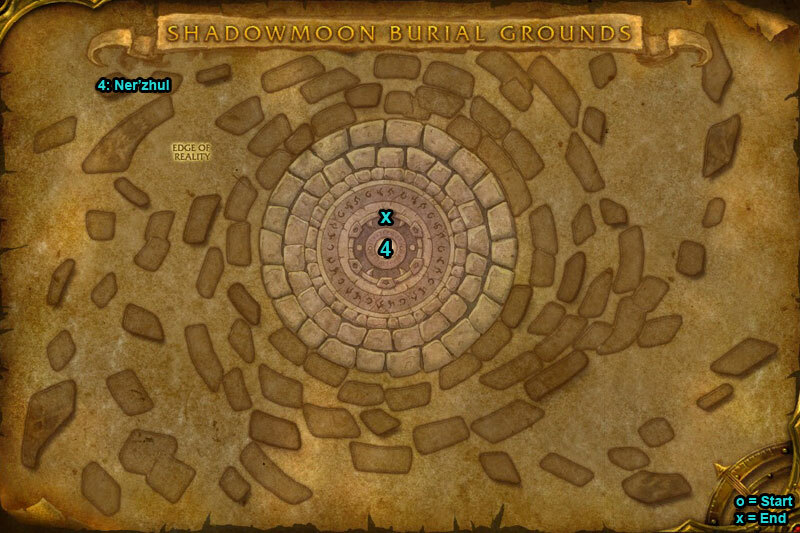 /i Don’t step on purple runes circled around floor. Focus kill Spirits. Whispers of the Dark Star is unavoidable damage, heal through. Move out of purple swirl (falling dagger). Casts Dark Eclipse, all players stand on a blue moon circled around floor. Heroic Differences: The falling daggers Daggerfall target two random players. /i Avoid Void Blast & purple runes on ground. Casts Planar Shift & teleports to a player, all run away when get pulled in. Everyone is phased into fighting their souls, dps your soul quickly & click the body to return to fight. /i Careful not to get knocked off platform. Avoid standing in way of Body Slam. Everyone stand inside a necrotic pool when boss casts Inhale. (Move back out of necrotic pools when Inhale stops). 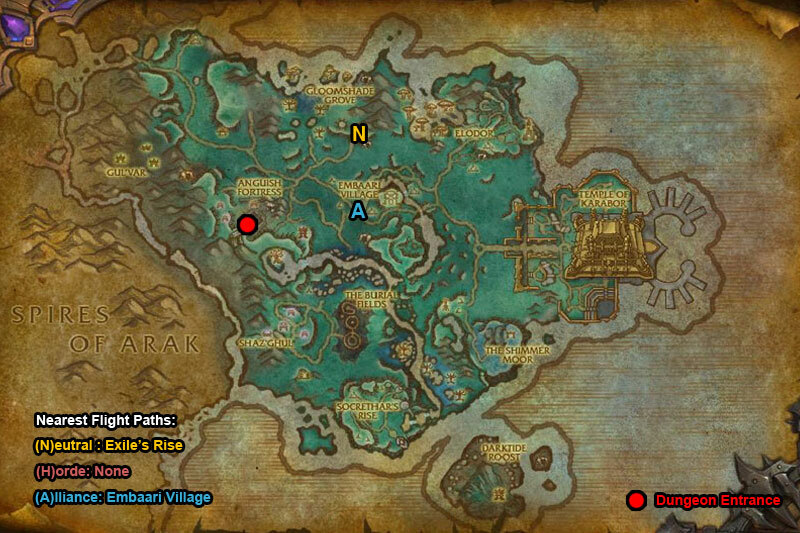 Heroic Differences: Summons Carrion Worms, tank stay on boss & dps focus them. /i Avoid standing in purple cone & move out of purple circles on ground. A wall of walking undead will move towards you, focus kill 1 (put skull on) to clear a path through.